Hi Everyone! Welcome back!! September is National Better Breakfast Month & so today I’m sharing 3 fall inspired recipes to start your day! I love to share with you simple recipes and also I LOVE natural products that make it easier to eat well! 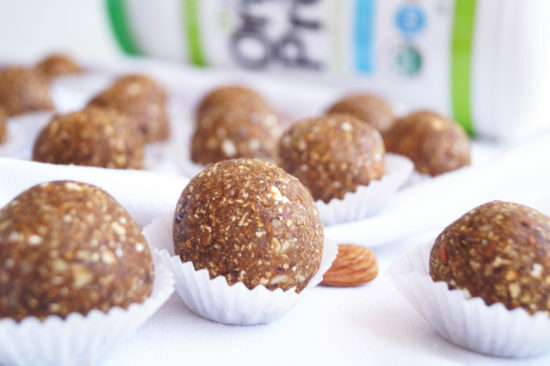 All of my recipes today are made with plant-based ingredients & also organic plant-based protein powder from Orgain. 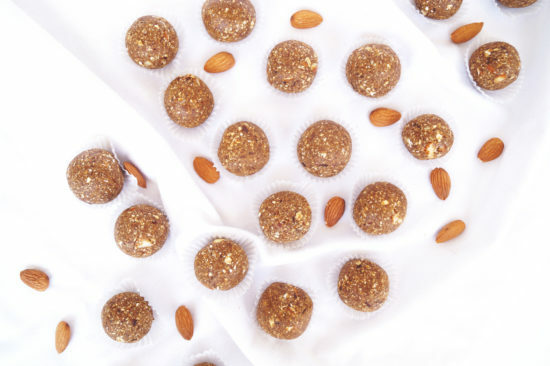 These breakfast bites are perfect for Fall, they even taste like gingerbread cookies! They are also full of nutrition such as protein, iron, calcium & fiber! Then add all remaining ingredients into a food processor and pulse together until a sticky batter is formed. 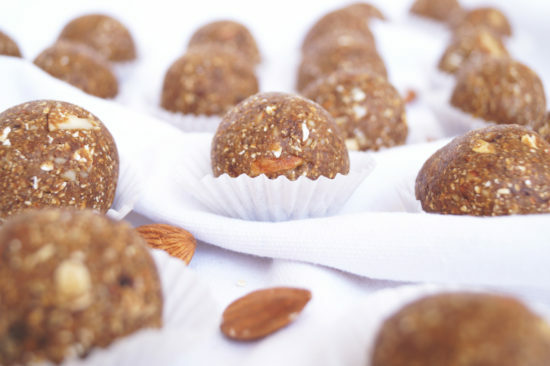 Roll into balls, place in a container and store in the freezer for 6 hours to set, and then enjoy! Store in the refrigerator and eat within 1 week or store in the freezer and eat within 2 weeks. Also I have to tell you that these molasses bites taste like little gingerbread cookies and are SO good!! 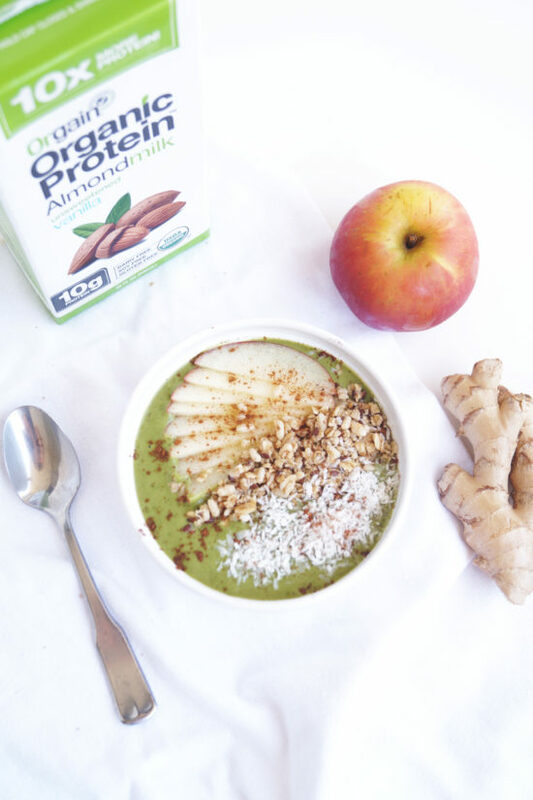 Apples are a classic fall flavor and this smoothie bowl features traditional apples and the super cleansing and detoxifying, apple cider vinegar! Apples are also packed with the anti-oxidant vitamin C which can help support a strong immune system! Plant-based protein powder like Orgain helps this dish be satisfying so you’re energy levels are great for hours! 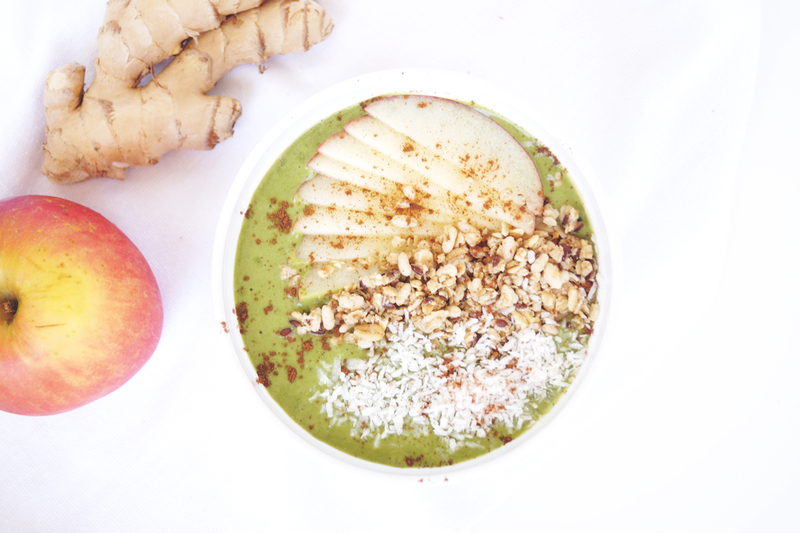 Add smoothie bowl ingredients into a blender and blend until thick & creamy. Pour into a bowl & top with apple slices, granola, coconut & cinnamon! 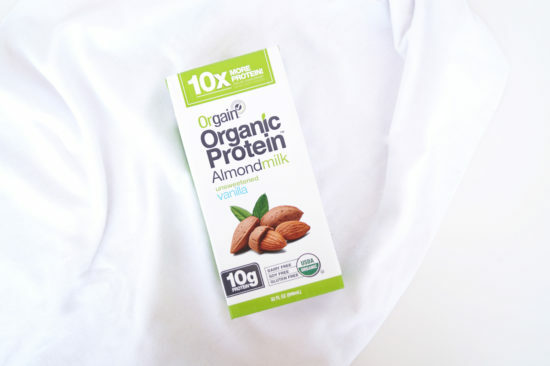 You can also use Orgain's almond milk which adds 10 grams of plant-based protein! 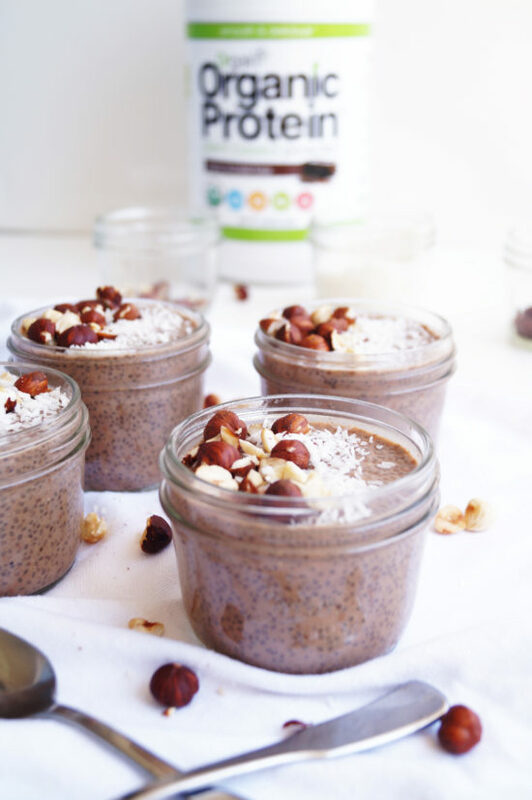 This recipe is so decadent it could be dessert, yet so healthy is doubles as breakfast! 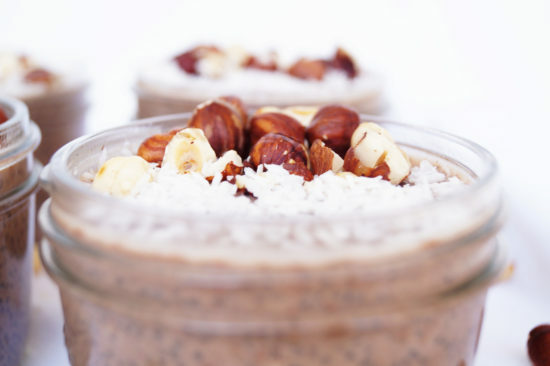 Chia seeds add a boost of protein, fiber & good fats. Research has shown that cinnamon can help balance blood sugar levels and Orgain adds a delicious dose of plant-based protein to keep you feeling full and satisfied! In a medium size bowl add all ingredients and whisk or stir together. Divide evenly into four jars; add a lid and place in the refrigerator overnight. 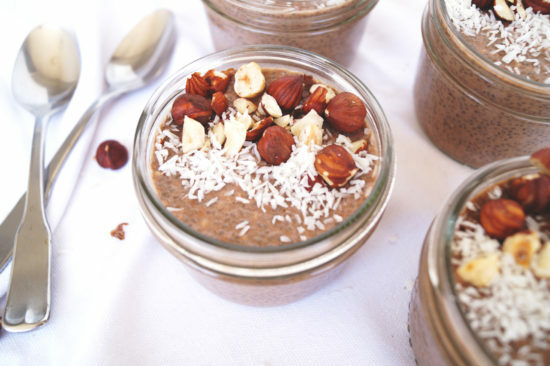 In the morning stir together & top with hazelnuts and shredded coconut. 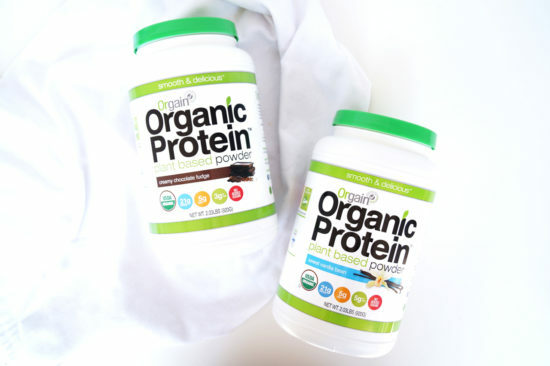 Orgain Organic Protein Powder delivers clean, organic protein to build lean muscle and satisfy hunger for increased energy, endurance, and healthy weight management. 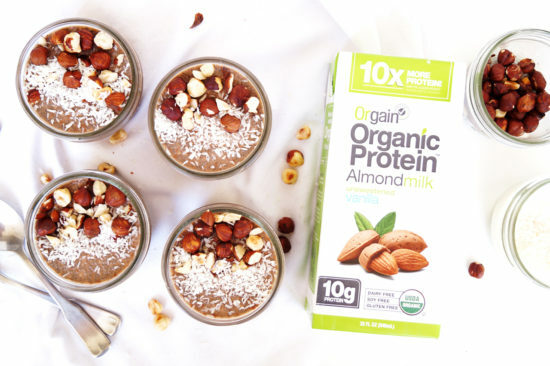 Smooth and delicious without grit, Orgain Protein Powder provides 21g of organic, plant-based protein from organic brown rice, hemp, chia, and pea proteins along with 5g of organic fiber and no added sugars. Orgain’s blend of organic pea, brown rice, chia, and hemp proteins is speciﬁcally designed to supply a complete amino acid proﬁle, while also providing the added beneﬁts of naturally occurring vitamins, minerals, omegas, and ﬁber. 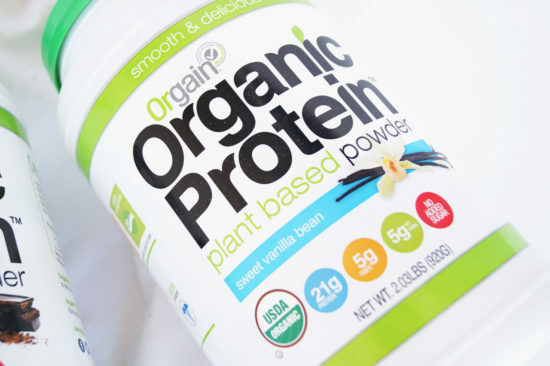 Orgain Protein Powder is USDA certified organic, gluten free, soy free and non-GMO and made without artificial sweeteners, colors or preservatives. It comes in two flavors: Creamy Chocolate Fudge and Sweet Vanilla Bean. Orgain was created by Andrew Abraham MD after he couldn’t find clean nutritional products during his battle with a rare form of cancer. He made it his personal mission to formulate the healthiest nutritional products based on real food, using only clean, organic ingredients to help people in their own battles with illness as well as to achieve and maintain good health. Disclosure: This video & post was Sponsored by Orgain. All opinions are genuine & I truly love their products!